Published: Oct. 7, 2018 at 05:04 p.m. 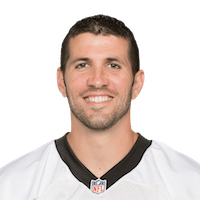 Published: Oct. 1, 2017 at 04:19 p.m.
Carolina Panthers kicker Graham Gano kicks a 48-yard game-winning field goal against the New England Patriots. Published: Nov. 17, 2016 at 09:39 p.m.
A dropped kickoff return by New Orleans Saints running back Marcus Murphy pins the Saints at their own 1-yard line. Published: Jan. 5, 2016 at 03:45 p.m.
Carolina Panthers kicker Graham Gano nails a 52-yard field goal in overtime to keep the Panthers undefeated season alive.